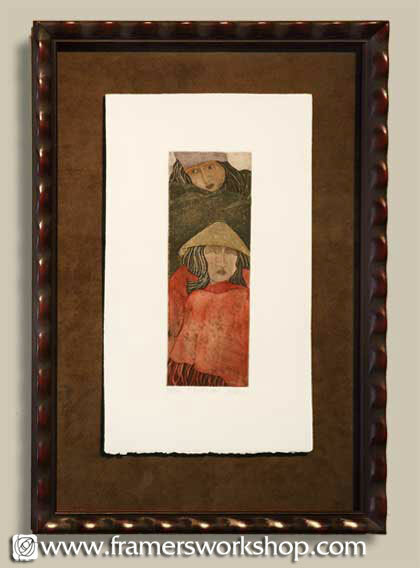 This hand colored etching by Irene Klar is floated on a soft brown suede and framed using a lustrous Roma Ragatta series frame. A clear acrylic spacer separates the U.V. glass from the artwork.